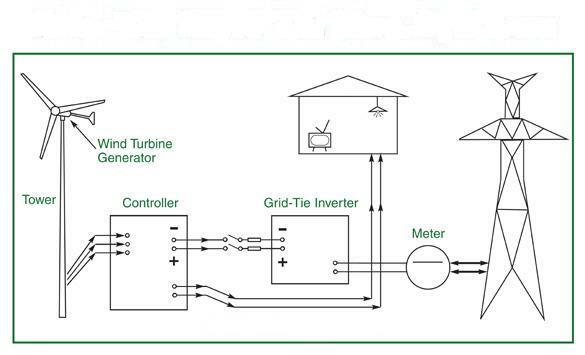 How Wind Power Plants Work? Just building a windmill in a windy place doesn’t mean that operating of wind power plant is simple. It’s necessary for wind power plant owners to plan carefully where to locate their machinery and also to check out that how fast and how much wind blows at proposed locations. As it’s a rule that wind speed increases with altitude and over open areas that have no windbreaks. Good places for wind plants are the smooth rounded hills, open plains or shorelines and mountain gaps that produce wind funneling. Throughout the United States wind speed varies and it also varies from season to season. As in Tehachapi, California, from April to October wind blows more than winter season. Wind blowing between those months is more because of the extreme heating of the Mojave Desert during the summer months. The hot air in desert rises and the cooler air from Pacific Ocean with great speed passes the Tehachapi Mountain to replace the vacuum. While in Montana State its totally different there wind blows more in winter. Luckily these seasonal variations are a good match for the electricity demands of the regions. As in California electricity is used more in summers for using air conditioners and in Montana it’s used more in winters for heating. In 2008 wind turbines or wind machines were producing electricity in 31 different States. In those 31 States Texas, California, Lowa, Minnesota and Oklahoma are the states with more wind production. Most of wind power plants are located in Europe and in the United States the governments there had supported the wind power development. According to 2008 figures regarding wind power generation United States is on top in wind power capacity, followed by Germany, Spain and china. Denmark’s ranking is ninth in world in wind power generation, while it generates about 20% of its electricity from wind. Conditions for wind power generations are suitable on much of the coasts of the United States but some people oppose that putting wind turbines near the coastlines and there are also some people who thinks that the wind turbines will spoil the view of ocean. That’s why there is plan now to build an offshore wind plant off the coast of Cape Cod, Massachusetts. Wind is great renewable energy source and some people think that it is a good substitute for fossil oil. Most of all it does not pollute the environment. The non-renewable energy resources like fossil fuels, coal etc. are depleting and will end one day as the world is using them. It’s a solid fact that every resource of energy which is taken from earth will because those are limited, and there is no such mechanism that kept on making those non-renewable energy resources under ground. The world then will have to rely on the renewable energy resources. Renewable energy resources like wind can never deplete. Wind energy and solar energy are the forms of renewable energy that probably can help out mankind from energy crisis. How Ancient Civilizations Used Wind Energy? Ancient civilizations were familiar with the use of wind energy and its used was cited in the Chinese, Babylonians, Persians and Middle East Civilizations. In old times wind energy was used to propel the ships and boats, while in China windmills were used for pumping water for irrigation purposes. Wind energy use was popular in Europe also, in Netherlands windmills were used for irrigation and electricity production in the late 19th century. In America windmills were pretty much in use also for irrigation and grinding cereals. Windmills were used in farms and far flung areas to fulfill the energy requirements. But in 20th century when electricity supplies were increased windmills got disappeared from scene also! In last 20 years again windmills can be seen across the United States. Wind energy is becoming economical source of energy in many countries around the globe. United States is having a plan to meet its 30% of electricity needs through wind energy till 2030. The wind blows across the wind turbine’s blades which makes them to move. When blades move they makes the shafts connected to them in motion, leading to power in a generator. This makes electricity which is then distributed through cables. The electricity production capacity depends on size and numbers of the wind turbines. Smaller size wind turbines will make less electricity which probably will be sufficient for a single home. While big size wind turbines can produce electricity for nearly 500 to 1000 homes. Many coastal areas where wind blows round the clock, wind plants are establish to provide electricity to villages and communities. 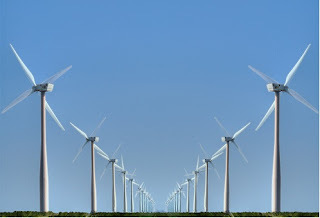 Wind energy is an environment friendly type of energy that haves zero emissions. So many countries around the globe are now planting wind energy plants. In coming years use of wind energy will increase. Some of these resources are natural renewable resources and some are non-renewable. With non- renewable resources most of people are familiar. Such as gasoline, coal etc. Continuous usage of non-renewable resources like petrol, coal and other fossil fuels had decreased their natural availability. It takes so much time and investment to find new hidden resources for these types of non-renewable fuels. That’s why day by day fuel price are rising in the market and those are affecting the life of a common person. Human had made immense advancements in the field of technology but never considered renewable resources more as compare to non- renewable resources. If we look into history renewable sources of energy were used more by the ancient human. But in modern era scenario had been changed, there is rise in fuel prices and environmental concerns are on rise also! Its time to consider renewable energy resources seriously before it get too much late. There are 5 renewable energy types that are available all around the world easily. Solar energy is the energy which is derived from the sun. It can for heating purpose or for power production. No need to buy fuel or coal to generate electricity sun is available one just have to harness its rays and have to convert them in the desired form of energy either heat or electricity! Solar heaters are used to heat your home and water; similarly solar panels are used to convert sunlight into electricity. Best thing about solar energy is that it requires very less maintenance. Solar energy is environment friendly and haves zero emissions. But solar panels manufacturing do includes some toxic elements and it is expensive as compare to non-renewable energy resources. Solar energy is expensive only in the beginning, once solar panels are installed after that your gets power for lifetime in free! Wind is also a renewable source of energy and available free of cost. Mankind is using wind energy through windmills from so many years. Wind energy is environment friendly and haves zero emissions. 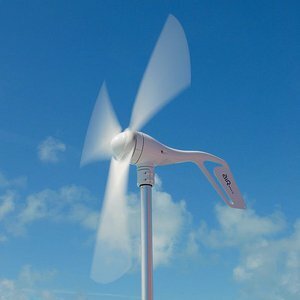 Wind can be turned into electricity with the help of wind turbines. Wind turbines are really great source t produce electricity but these can be fatal to flying birds. Hydropower means generating energy with the help of flowing water. 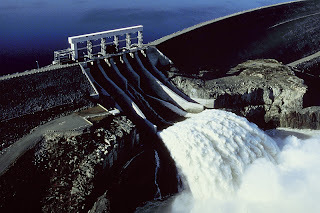 This great renewable energy source is being used since ages and is known as hydroelectric power. Hydroelectricity is produced with the churning water with the help of massive generators. Though hydropower haves zero emissions also but it affects the aquatic life and aquatic ecosystem. 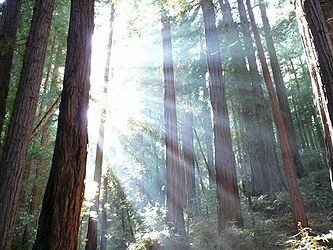 Plants and trees are the source of biomass energy and are used for creating bio-fuels. Plants are used from paper making to methane gas decomposition. 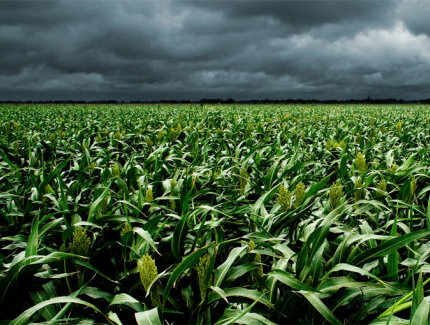 Now plants are even grown for bio-fuels such as ethanol is obtained from corn crops. Biomass energy can be used for lighting and cooking. 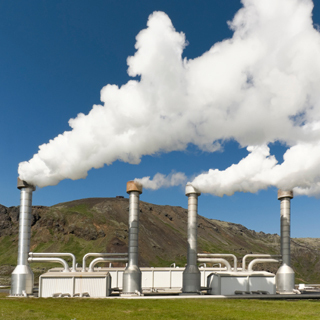 Geothermal energy is the energy which is obtained from earth’s heat. It can be in form volcanoes, hot spring, steam reservoir or sun-heated earth crust. There are only few countries in the world that produce electricity from geothermal energy! Renewable energy is having enormous benefits. Its environment friendly and aside from those renewable energy resources are not going to deplete. They can be naturally replenished which will go long way for the future generations. 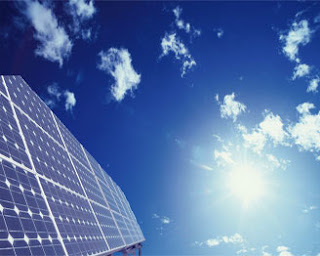 Solar Power is an efficient energy as you don’t need to depend on fuels or other resources to produce the electricity. Get the photons from sun and let the solar cells to convert into power. Aside from the solar power efficiency it also promotes good responsible attitude towards the environment. 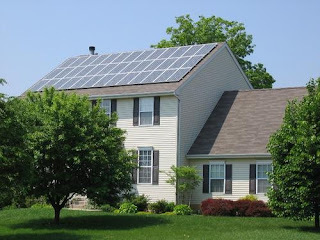 Most of solar energy types are designed for the residential buildings. There are so many types of solar kits that homeowners can purchase to switch their house to solar power. This is easy to easy as converting your home to solar energy is expensive. But there are some tax rebates for the people who want to install solar systems. Solar power can be described that the rays of sun which contains photons passes through the solar cells and solar cells partially absorbs it. Solar cells convert the sunlight into usable form of electricity or heat. Solar water heaters are simple solar devices. Solar water heaters absorb the heat from sunlight. As these heaters are made of dark material which makes them to absorb the sunlight heat and that heat is carried to pipes which contain water. Solar water heaters cannot heat up water like other traditional water heaters, but they do make water enough that can help. 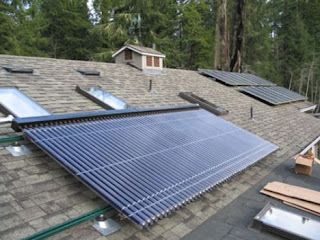 Solar water heaters price for houses is almost $11, 00 but water heaters for swimming pools cost more. The cost of water heaters for swimming pools will from $21, 00 to $5,000. A full solar heating system for your home which will heat up your home and water is more expensive than simple solar water heating. The average cost of full solar system for home is $47,000 to $100,000. The price usually depends on the size of home and the complexity of the system. 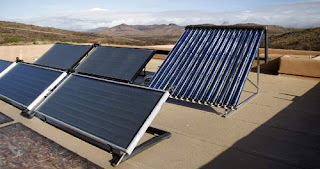 Solar electricity producing systems do no use the sun heat for producing electricity. Solar electricity devices basically are comprised of silicon wafers that are known as solar cells. The solar cells convert the sunlight into electricity and transfers is to batteries from where it is supplied to home appliances. An average house needs almost 5 kilowatt electricity. The people who want to convert their homes fully on solar electricity will have to spend $40,000 to $47,000 for a 5 kilowatt solar energy system. Biomass energy is having so many benefits for the environment such as reducing air and water pollution, increasing soil fertility and reducing erosion, and improvement of the wildlife habitat. Carbon cycle is a way of nature for moving carbon around the Earth to support life on it. Carbon dioxide gas is the most common carbon item in which one carbon atom is bound with two oxygen atoms. Photosynthesis in the plant’s leaves breaks the carbon dioxide in to two, which keeps the carbon for making carbohydrates, and oxygen is exhaled in the air. So when plant dies or it is harvested for burning then it gives back the carbon to air, and that carbon is absorbed again by plants. While on other hand fossil fuels are made of plants millions of years ago through organic changes. The carbon, which was absorbed by those plants that time, is being emitted now by fossil fuels burning. As there are no extra plants to absorb that carbon that’s why the cycle becomes out of cycle. If we look the picture below we can see clearly there are two different carbon cycles working one is the natural one between plants and air and perfectly balanced. Second one is human made cycle in which carbon is gained from Earth and emitted into the atmosphere. As part of the carbon cycle biomass reduces air pollution as shown in the above picture. It reduces carbon dioxide emissions up to 90 percent as compared to fossil fuels. While Sulfur dioxide and other pollutants are also reduced significantly. It reduces water pollution also as fewer fertilizers and pesticides are used to grow energy crops, and erosion is reduced. Agricultural researchers in Iowa had discovered that planting grass and poplar trees in buffers along waterways can capture the runoff from corn fields and streams will become cleaner. Food crops extracts the nutrients from the soil while on other hand energy crops improves soil’s quality. Prairie grasses are having deep roots and puts nitrogen and other nutrients in the soil. As Prairie grasses can be replanted every 10 years because of that soil gets minimal plowing that causes soil to erode. In simple words biomass crops are better for wildlife habitat than the food crops. 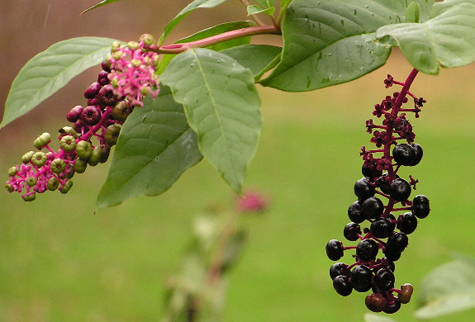 As they are the native plants so it attracts a variety of birds and mammals. It also improves the habitat for fish by increasing water quality in nearby streams and ponds. Unlike food crops, energy crops are having long time for being harvested and energy crops can be timed to avoid critical nesting or breeding seasons. All above-mentioned benefits are described in comparison with food crops such as corn, wheat, and soybeans. But comparing with undisturbed natural habitat energy crops is not as good. But best thing about biomass is that it is much closer to the natural world rather than the modern industrial agriculture. Harvesting Prairie grasses is not so much different than the fires that sporadically swept across the plains. May be the plantation of poplar and maple trees wont same as varied forests, but are certainly closer than pesticide-laden monocrops. 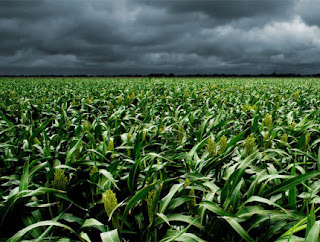 Anyhow the environmental benefits of the biomass centers on the point that the energy crops will be managed with sustainable agricultural practices. As using chemical inputs increases food crops productivity if it will be done for energy crops then the consequences will be adverse. If biomass energy shows unforeseen environmental effects then it will be better to alter those methods for reducing the effects. Aside from the environmental benefits, biomass energy is also having economic and energy security benefits. For example if we grow our fuels at home then we can reduce the need to import oil and also can reduce our exposure to disruptions in that supply. Because of biomass energy usage, farmers and rural areas will be having new outlets for their products. In United States, biomass is already supporting 66,000 jobs and if the dream of the DOE became true then that figure will get three times more. Ancient way of converting biomass into energy is just to burn it for producing heat, as humans practiced it for thousands of years. Still this is the most common way for conversion of biomass into energy in United States and elsewhere also. The heat generated from biomass can be used for heating, cooking, and industrial processes, or for producing electricity. Using biomass for burning haves some problems regarding some energy waste and also some air pollution if it is not carefully controlled. There is a process for enhancing biomass energy while burning it with coal in power plants; this is called “co-firing”. Biomass can reduce the use of coal in a boiler for up to 20 percent. Co firing of biomass with coal contains benefits like lower operating costs, reductions of harmful emissions and most of all greater energy security. Co-firing is capable of developing and surviving independently for increasing power generation today. In 2000, the co-firing of switchgrass with coal was tested at Alliant’s Ottumwa Generating Station in Iowa; this test was a jointly conducted by the Chariton Valley Biomass Project, Alliant Energy, The U.S Department of Energy, and local biomass groups. This project got so much successful that in 2005 Alliant Energy got the permission to build a permanent biomass processing facility at the plant. That plant is capable of co-firing up to five percent of its energy with switchgrass. 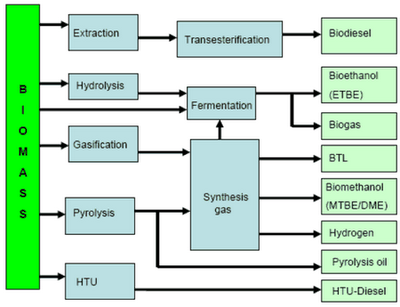 For converting biomass into energy there are number of non-combustion methods. These methods haves the capability to convert raw biomass into gases, liquid fuels, or solid fuels so that it can be used directly in the power plants for generating electricity. Biomass usually contains carbohydrates, which are composition of oxygen, carbon, and hydrogen and that can be broke down into different types of chemicals from which some are very useful fuels. When biomass in the plant is heated but hasn’t burned then it breaks into various gases, liquids, and solids. Then these processed products can be further refined into useful fuels such as methane and alcohol. When biomass convert into gas it captures methane released from the plants and then burn it in a gas turbine to produce electricity. There is another method, which is to take these fuels and run them through fuel cells, converting hydrogen rich fuels into water and electricity. This process haves few or no emissions. Bacteria, enzymes and yeasts are also capable of breaking down the carbohydrates of biomass. Such as process of fermentation, which is used to make wine, in this process biomass changes into alcohol, which is a useful combustible fuel. There is another similar process like fermentation, which is used to turn corn into grain alcohol or ethanol, and then it’s mixed with gasoline to make gasohol. When bacteria breaks down biomass it also produce methane and carbon dioxide. That methane can be captured from sewage treatment plants and landfills and can be used for heating and power. Biomass oils such as soybean and sunflower and canola oils are capable of being converted chemically into a liquid fuel similar like diesel fuel and also into gasoline additives. For example cooking oil used from restaurants can be used for making biodiesel for trucks. There is also a better way for making biodiesel by using algae as a source of oils. There are many people who believe that biomass takes more energy to produce fuels from biomass than the fuels themselves contain. In simple word it can be said that it is a net energy loser. But most of studies done in last 10 years had confirmed that the production of ethanol is a positive energy balance. U.S. Department of Agriculture made a study in 2002 regarding that matter and it shows that technological advances in ethanol conversion and efficiency increases in farm production have caused the net energy value (NEV) of corn ethanol to increase gradually over time. It also shows that every British thermal unit (BTU) of energy, which is used in the production of ethanol, leads to a 34 percent energy gain. This is truth also that it can be done much better. Currently corn-based ethanol is gained from the corn plants, for producing ethanol only corn kernels are used but not the entire kernel. To make ethanol from energy crops we can extract four or five times more energy than we had consumed on crops growing. And if we make electricity from that then the obtained energy ratio get high up to 10 times more than that. For having a sustainable biomass energy system in the future its necessary to replace the fossil fuels with the biomass or other renewable fuels to plant and harvest the crops. Another issue regarding biomass energy systems is that biomass contains less energy per pound than fossil fuels. So it means that raw biomass is not typically cost effective for shipping more than about 50 miles before it is converted into fuel or energy. This particular issue regarding biomass shows that biomass energy systems are likely to be smaller than their fossil fuel counterparts. Reason for making smaller biomass energy systems is that it’s hard to gather and process more than this quantity of fuel in one place. But that is not the drawback of biomass energy it can be beneficial for the local, rural communities and even individual farms. So that they will be able to design energy systems that are self sufficient, sustainable, and perfectly adapted to their own needs. Surely no one will accept such type of electricity, which is available only in daytime and usually on clear days only. For such situation we need electricity storage devices (batteries). But sad to say, that batteries add a lot of cost and maintenance to the PV system. Anyhow currently, it’s a necessity if you want to be completely independent. One solution to this problem is to connect your house to the utility grid, buying power when you need it and selling to them when you produce more than your need. In this way the utility acts as a practically infinite storage system. Of course in most cases the utility have to agree to buy power from you at a much lower price than their own selling price. You will need special equipment to make sure that power you sell to your utility is occurring at the same time as theirs means that it shares same sinusoidal waveform and frequency. For that safety is basic issue also, the utility has to make sure that if there’s a power outage in your neighborhood, your PV system wont try to feed electricity into line that lineman may think is dead. That is called islanding. If you decided to use the batteries then keep in mind that batteries should be maintained and also replaced after certain number of years. Usually PV modules lost for 20 years or more while batteries don’t have such long useful life. Batteries in PV systems can be very dangerous because of the energy they store and the acidic electrolytes they contain, so for that you will need a well-ventilated, non-metallic enclosure for them. Though there are different types of batteries are used but one common characteristic is all batteries is that they are all deep cycle batteries. While a car battery is a shallow cycle battery, deep cycle batteries can discharge more of their stored energy while still maintaining long life. While car batteries discharge a large current for a very short time only for starting up your car and they are immediately recharged also when you drive. A PV battery has to discharge a smaller current for long period (during night), and gets charged then in daytime. 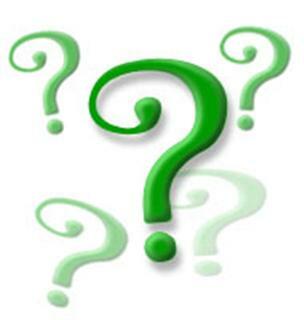 The most commonly used deep cycle batteries are lead acid batteries and nickel cadmium batteries. Nickel cadmium batteries are more expensive but with long durability and can be discharged more completely without harm. Deep cycle lead acid batteries can’t be discharged 100% without seriously shortening battery life and PV systems are generally designed to discharge lead acid batteries no more than 40% or 50%. To use the batteries another component Charge controller is required to be installed also. Proper caring can enhance batteries life, so that they aren’t over discharged or drained too much. That is the basic function of a charge controller. When the batteries will be fully charged then the charge controller wont let the current from the PV modules continue to flow into them. Same like that when the batteries have been drained to a certain predetermined level, controlled by measuring battery voltage, many charge controllers will not allow more current to be drained from the batteries until they have been recharged. For long battery life charge controller use is so much essential. Another problem aside from energy storage is that the electricity generated by our PV modules, and extracted by our batteries if we choose to use them, is not the form that’s used by the electrical appliances in our home. The solar system generates the direct current while the electricity supplied to our utility is alternating current. For that an inverter is needed, a device that converts DC to AC. Large inverters can automatically control how your system works. Some PV modules that are called AC modules are having built in inverter already benefit of that AC module is that it helps to simplify wiring issues. Now throw in the mounting hardware, wiring, junction boxes, grounding equipment, over current protection, DC and AC disconnects and other accessories and you have yourself a system. It’s highly recommended that the electrical codes must be followed and a licensed electrician who has the experience with PV systems will do the installation. After installation of a PV system it needs a very little maintenance and will provide electricity cleanly and quietly for 20 years or more. There are two types of wind machines, which are used today, one is a horizontal axis wind machine and other is vertical axis wind machine. There is a lot of difference between the sizes of Wind machines (turbines). Small wind turbine only haves capacity less than 100 kilowatts that is used to power a single house or business. There are large turbines that have capacity of 5 megawatts. 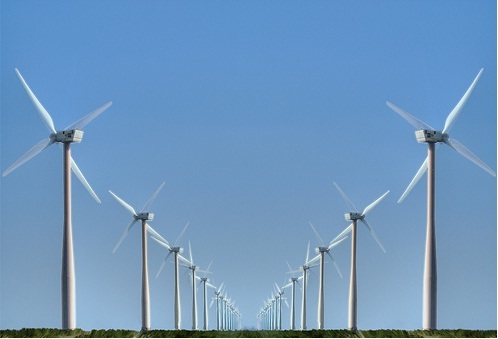 Large turbines are grouped together in wind farms that provide power to the electrical grid. Most of wind turbines used today are horizontal axis type. Horizontal axis wind turbines are having blades like airplane propellers. A particular type of horizontal wind machine is having height equal to a 20-story building and 3 blades that span 200 feet across. The largest wind machines in the world are having blades longer than a football field. Wind machines always stand tall with wide span blades to capture more air. Vertical axis wind turbines looks like egg Beaters, they are blades, which go from top to bottom. 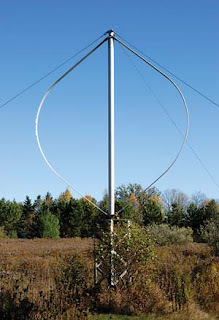 The most common type vertical axis wind turbine is Darrieus; it was named after the French engineer George Darrieus who patented the design in 1931. This typical wind turbine stands 100 feet and 50 feet wide. Vertical axis wind turbines are uses less today. 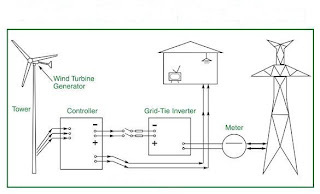 How Wind Power Plants Produce Electricity? Wind power plants or farms are used to produce electricity. Usually a wind farm is having dozens of wind machines scattered on a large area. The world’s largest wind farm is the Horse Hollow Wind Energy in Texas and that have 421 wind turbines from which enough electricity is generated that can power 220,000 homes per year. Government does not own many of wind plants. Business people who sell the electricity, which is produced on wind farms, own them. These private companies are called Independent Power Producers. How Do Gas Powered Refrigerator Perform? Almost every home is having refrigerator. The refrigerators which we are having in homes are more cost effective, efficient and they are having long life also. But the refrigerators that we use in home run on electricity. That’s why those refrigerators don’t work if we live in area where there is no electricity or go for camping. For such type of conditions there are other types of refrigerators which are called gas powered refrigerators. Gas powered refrigerators works on the places where electricity is not available. These components work together, uses the gas as both fuel and coolant to make the refrigerator work when there is no electricity available. The whole process is effective, as its less energy efficient than the standard refrigerator. But it works effectively. How Gas Powered Refrigerator Works? Gas burns in the generator which helps to create the energy of the process; it raises the temperature of this combination of ammonia and water, and makes it boil. When the ammonia starts boiling then the combination travels to a separator which moves the ammonia and the water separately through the rest of the system. From here the gas powered refrigerator process becomes similar like traditional refrigerators. The ammonia gas moves through a condenser, where the pressure system moves it through coils. Ammonia is kept warm in these coils, but turns into a liquid. Then the liquid ammonia collides with hydrogen gas. This collision creates evaporation that creates the colder temperatures, which helps to cool the refrigerator. In final step water combines back with the hydrogen and ammonia mixture. Then hydrogen leaves and collects elsewhere, and the remaining solution starts processing all over again. Though the all procedure of refrigeration in gas powered refrigerator is little complicated but its so much effective in those areas where electricity is not available. It’s not a long lasting system, and not meant to be used for a long periods. How Long a Gas Tank Last in a Refrigerator? It depends in the type of the gas which they use. For example, ¾ tank is used by an average propane refrigerator. Consumption of gas depends on models also; the old ones are less efficient. So it’s always better to stock up on propane tank before you leave for a trip. Because on your trip you can afford to run short of propane gas, if that happened then the most of food in your refrigerator will be spoiled. Anyhow gas powered refrigerators are effective for long camping, RV trailers and other places that don’t have electricity. There are so many environment friendly and renewable energy resources. These sources of energy are the alternate source of energy and help to nullify the effects of certain forms of pollution. All these power generation techniques can be described as renewable because they are not reducing the quantity of any resources to create the energy. Here we had listed the top 10 renewable energy resources. Nuclear power is obtained through any nuclear technology designed to extract usable energy from atomic nuclei through controlled nuclear reactions. Recently for that only fission nuclear method is used, though other methods might one day include nuclear fusion and radioactive decay. The reactors heat up the water to produce steam then its converted into mechanical work for the purpose of generating electricity or propulsion. 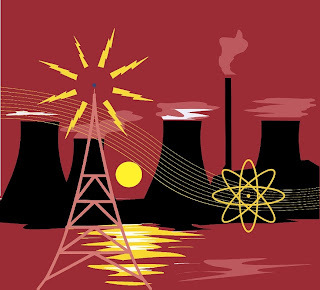 Fourteen percent of the world’s electricity is produced by nuclear energy. 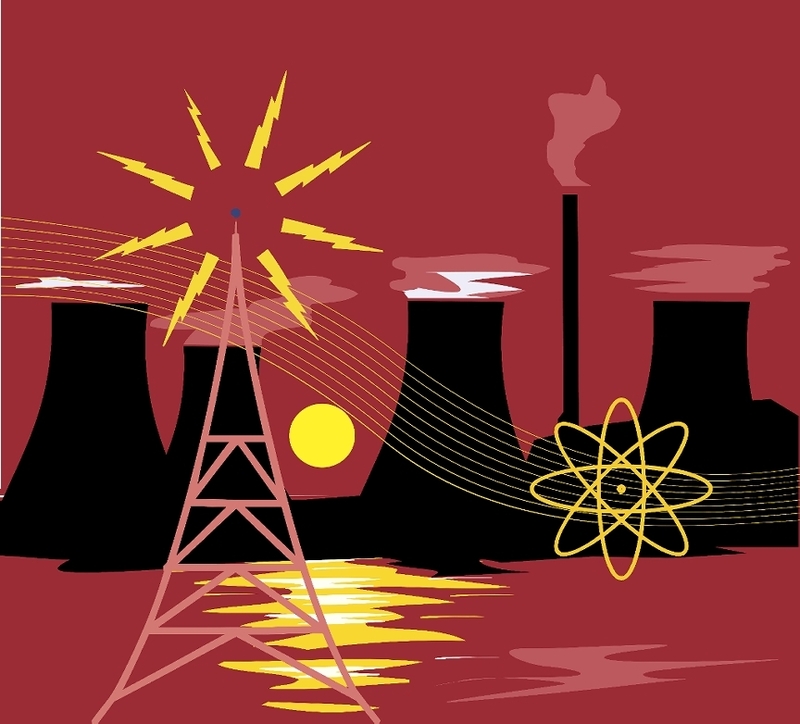 U.S. , France, and Japan account together 56.5% of nuclear generated electricity. 439 nuclear power reactors are in operation around the world in 31 countries. According to the figures of World Nuclear Association during 1980s one new nuclear reactor started up in every 17 days on average, and this ratio will increase till 2015 up to one reactor every 5 days. France gets cleanest air than any other industrialized country because of nuclear power, and also cheapest electricity in all of Europe. For reducing mass and making more energy France reprocess it nuclear waste. By reprocessing up to 95% of the remaining uranium and plutonium can be recovered to spent in nuclear fuel, putting it into new mixed oxide fuel. France is considered as most successful reprocessor but currently it only recycles on 28% of the yearly fuel use, 7% in France and another 21% in Russia. The energy experts believe that nuclear energy is a sustainable energy source that reduces carbon emissions and increases energy security by decreasing dependence on foreign oil. It is also emphasize that storing waste risks are low and using the latest technology in newer reactors can further reduce them. As comparing to other major nuclear power plants the operational safety record in the Western World is excellent. According to critics nuclear power generation is dangerous even though using latest technology can lower the risks down. While on other side proponents advance the concept that nuclear power produces eventually no air pollution as compare to fossil oil energy producing and they also say that nuclear energy is the only virtual course to achieve energy independence for most Western countries. But its being criticized also and critics say that radioactive waste can be contaminated by accident or sabotage as such accidents had happened before. Compressed Natural Gas is the substitute for the fossil fuel like gasoline, diesel or propane fuel. Though its combustion also produce the greenhouse gases but it’s more environment friendly as compare to other fossil fuels CNG is used in traditional gasoline engines which are converted into b-fuel vehicles (gasoline/CNG). 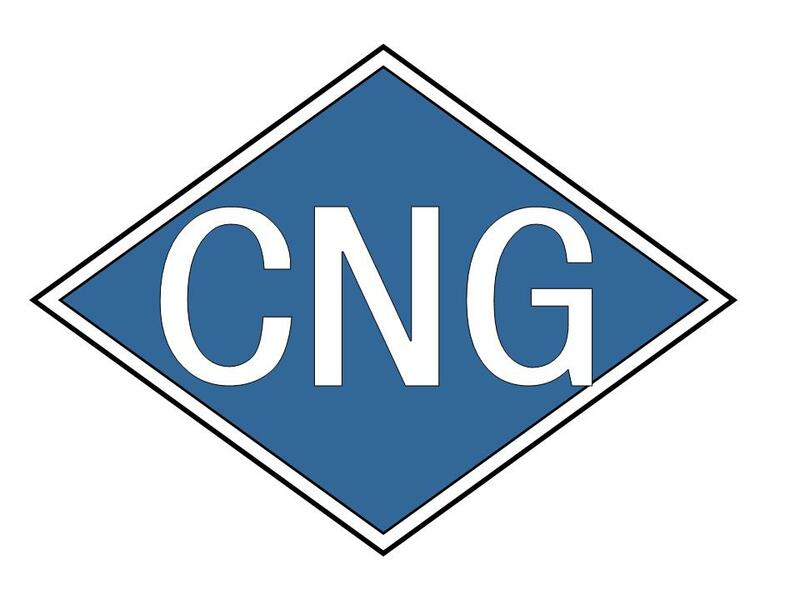 CNG vehicles are increasingly used in Europe and in North America. 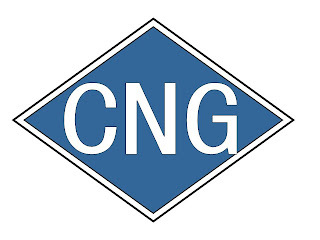 In Europe Italy is the no.1 and in world its 4th country with largest number of CNG-powered vehicles. Canada is the largest producer of natural gas and CNG in Canada is used as economical motor fuel. As a renewable energy source biomass refers to living and recently dead biological material that can be used as fuel or for industrial production. For that biomass make an appeal to plant matter grown to generate electricity or produce for instance trash like dead trees, yard clippings wood chip biofuel, and it also includes plant or animal matter used for production of fibers, chemicals or heat. Industrial biomass can be grown up by several types of plants such as misconstrues, switch grass, hemp, poplar, corn sugarcane etc. Biomass is a growing industry as demand for sustainable energy resources is increasing. Currently in U.S. 0.5% of electricity is produced by using biomass. New Hope Power Partnership is the largest biomass power plant in North America. The most efficient and powerful way to extract energy from earth through natural process is called geothermal energy. In ancient roman times it was used for space heating and bathing but now it’s better known to produce electricity. Though geothermal power is cost effective, reliable and environment friendly but geographically it’s limited only to areas near tectonic plate boundaries. The largest group of geothermal power plants is in the Geysers a geothermal field in California, United States. According to statistics 5 countries in world (EL Salvador, Kenya, Philippines, Iceland, and Costa Rica) generate more than 15% of their electricity through geothermal sources. The main advantage of geothermal energy is that it doesn’t need any fuel. Geothermal electricity is generated in 24 countries around the world and still there are number of potential sites that need any discovery. This natural energy is gained directly from environment or its extracted from ordinary electricity by using the fractionation method. Nikola Tesla invented the earliest wireless telephones based on radiant energy. This natural energy can work same as ordinary electricity at less than 1% of the cost. It doesn’t behave exactly like electricity. Hydroelectricity is generated by hydropower. Using the force of falling or flowing water generates the power. This is the most widely used form of the renewable energy and it doesn’t produce any waste that will be harmful for the environment. Hydropower produces the world’s almost 19% electricity. 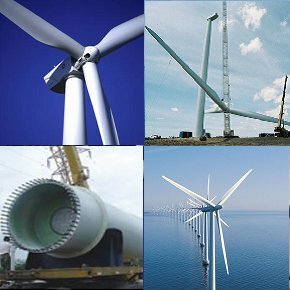 Conversion of wind energy by wind turbines into useful energy form such as electricity or mechanical energy is called Wind Power. Wind power haves one the lowest environmental impacts of all energy resources. Recently wind produces only 1.5% of worldwide electricity but its growing fast. It achieved high level of penetration in many countries. The wind power electricity production in few countries is phenomenal such as 19% of electricity production in Denmark, 11% in Spain and Portugal, and 7% in Germany and Ireland. If we look in history humans are using wind energy from centuries such it was used to propel the sailing ships, for grinding grains and now today it is used to produce the electricity. Solar power is controls the suns energy to produce the electricity. This is one of the fastest growing energy sources and so many new technologies are developing with rapid speed to attain more from sun’s energy. Solar cells are becoming more productive, flexible, transportable and easy in installation. Photovoltaic production was rise rapidly in 1973 due to of oil crisis. Recent years solar installations are largely expanded to residential areas as governments are offering incentive programs to make green energy and more economically viable option. Transporting the energy from the ocean surface waves to capture the energy for useful work such as generating electricity, water desalination or pumping of the water is called wave energy. 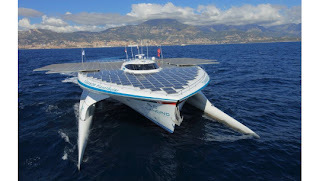 This method of renewable energy is not most reliable due to unpredicted ocean and wave direction. Anyhow waveforms are in use in Europe. They are using floating Pelamis Wave Energy converters. 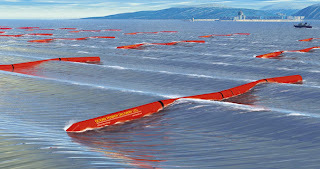 The world’s first commercial wave form is in Portugal, at the Agucadora Wave Park, that consists of three 750 KW Pelamis devices. Tidal power generation is similar to a wind turbine power generation. It is more environment friendly and cause less impact on established ecosystems. Tidal energy can be generated in two ways, one tidal stream generators and other by barrage generation. 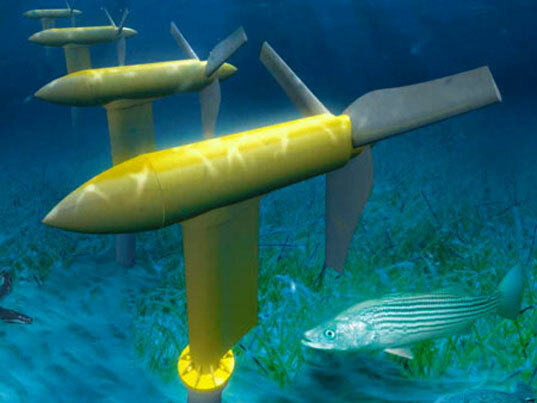 Similar like wind turbines tidal stream generators rotate underwater swiftly driven by dense water.. Though its not used wider basis but its having a potential for future power generation. Tidal energy production is more predictable than wind energy and solar power. Tidal mills were used in Europe and on the Atlantic coast of America long before. Tidal power is directly derived from the motion of the Earth-Moon system, tidal forces are produced by the moon and sun with combination of earth’s rotation. Lunar Energy Company in England had announced that they would build the world’s first tidal energy farm at the coast of Pembrokshire in Wales. It will be the world’s first deep-sea tidal energy farm, which will provide electricity to 5,000 homes. Climate change science had played a main role for understanding the fundamentals of global warming. Now there is no doubt in the main stream scientific community that the earth is warming, and increasing evidence shows that humans had played significant part in it. For instance we know that the specific gases like carbon dioxide and methane play a major role in determining the Earth’s climate by preventing heat from escaping the atmosphere. Researchers had documented that increased concentration of such environment harming gases are due to of human activities such as burning of fossil fuels, deforestation and land degradation, cattle ranching, and rice farming. Human’s part in global warming has been documented in a growing number of studies. Human activities are and will continue to keep on changing the composition of the atmosphere. The IPCC stated that emissions of greenhouse gases and aerosols due to human activities continue to change the atmosphere in ways that are expected to affect the climate. Adding that trends of greenhouse gas emissions from human activities point further upward, the scientists force on point of significant emission reductions are necessary to stabilize the climate. Recent global warming is caused by human activities. The IPCC states in its assessment, “There is new and stronger evidence that most of the warming observed over the last 50 years is attributable to human activities”. Climate changes do exists or in the IPCC’s own words: “An increasing body of observations gives a collective picture of a warming world and other changes in the climate system”. Climate experts using more advanced computer models suggested that the planet temperature will rise over the next generations as a result of this growing concentration of heat trapping gases in the atmosphere. According to experts global warming in 20th century was largest during any century over the past 1,000 years for the Northern hemisphere, and about this 21st century global warming its predicted that there will be more rapid climate change than any time in recorded history. About generating energy through solar panels almost everyone knows. Generating solar power is mostly used in remote areas, but its becoming popular in rural areas also. Solar energy technology is progressing by leaps and bounds. It’s getting better and better. The idea of clean and green fuel is great but it has certain disadvantages. First it’s so much expensive, second their power conversion rate is quite low. Final disadvantage is that you need storage space to save all the power, which is converted by a clean and green technology. 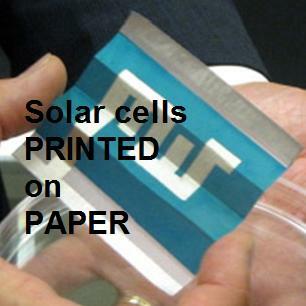 The MIT researchers had developed solar cells printed on paper. This technology will take years to be in market for commercial use, but it is an interesting development. 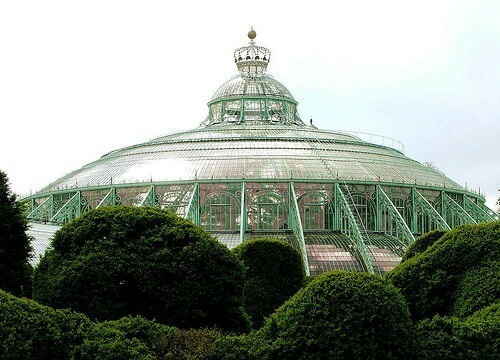 It seems amazing that a greenhouse produce solar power and food. This unique has been done in Italy. Renewable energy companies Solar ReFeel, CeRSAA and solar panel manufacturer Solyndra are the companies are responsible for this project. This solar power greenhouse is being built at CeRSAA’s Albenga, Italy. Basic purpose of this project is to attain production of both food and electricity. The research team is also experimenting to validate the crop growth benefits of Solyndra’s technology by taking help of independent testing by a leading agricultural institution. Researchers at Wake Forest University's Center for Nanotechnology and Molecular Materials are experimenting to attain source of clean and green power through pokeberries because pokeberries can be helpful in making of affordable solar power. Scientists of Nanotech Center had extracted the red dye from pokeberries to paint their efficient and low-cost fiber-based solar cells. The dye had given the desirable results. The dye acted as an absorber and helped the cells minute fibers to capture more sunlight for converting it into power. 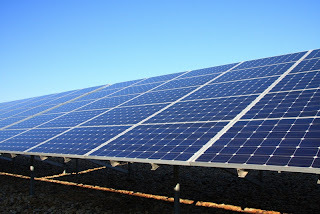 Queen's University Applied Sustainability Research Group located in Kingston, Canada had came out with two studies, which claim solar power in southeastern Ontario can be created in great quantity. It’s said that southeastern Ontario has the potential to produce almost as much power as all the nuclear reactors in the United States. 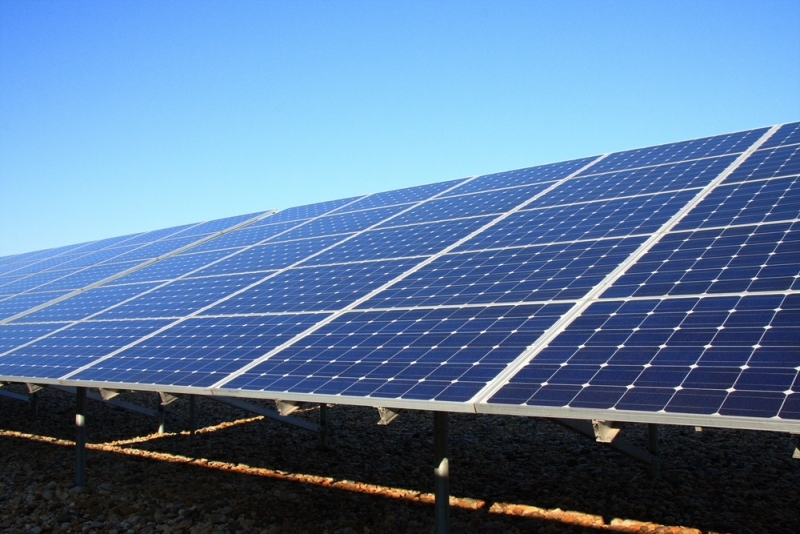 Solar panels are usually made of silicon. Silicon is not cheap that’s why it raise the costs which makes it expensive for the people who want to use solar energy. 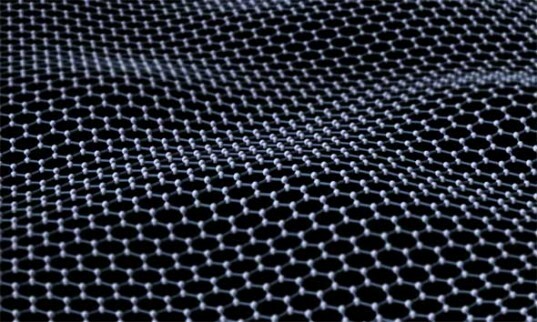 Scientists made solar panels with another substance ruthenium which is cheaper than silicon. But ruthenium is a rare metal and its same rare as platinum. So it can’t be used on a mass level production. 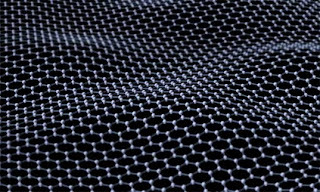 While carbon is cheap and widely available also, the graphene a form of carbon is having ability to absorb wide range of light frequencies. 18 million euro was spent to make this environment friendly boat. All 38,000 photovoltaic cells were provided by the SunPower Corporation. The solar panels installed on this boat are having pretty decent conversion rate of 22%.